Join the original urban sketcher, Seattle-area artist and journalist Gabi Campanario, for a weekend of learning and exploration around the revitalized downtown of Bothell, Washington. “Urban Sketching Bothell” consists of a combination of indoor demonstrations at centrally located Cloud9 Art School and practical field sketching sessions at nearby scenic locales such as Bothell Landing, the historic Anderson School McMenamins Hotel and Bothell Country Village. 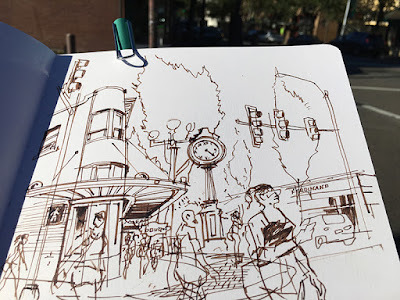 Lessons taught by Campanario will emphasize creating accurate depictions of urban spaces and human activity and infusing the artwork with a unique personal style. 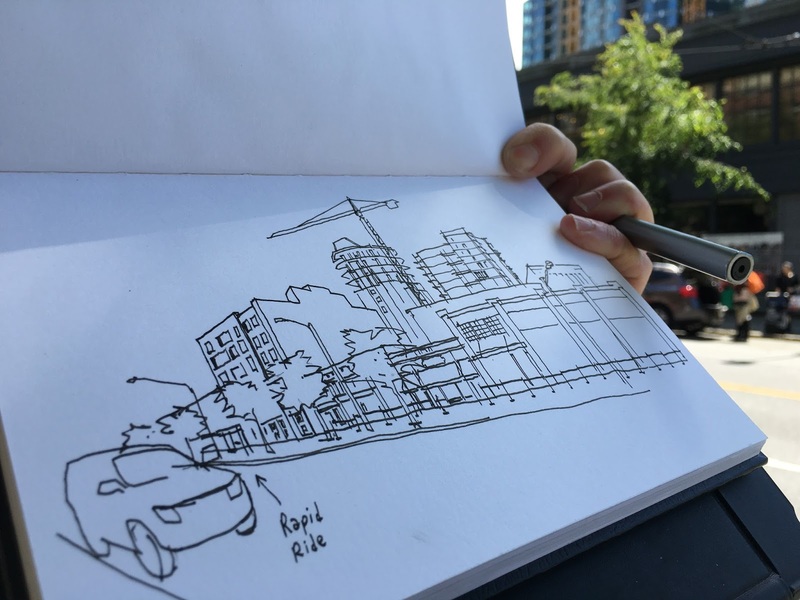 Topics will include choosing and framing subjects, identifying shapes, measuring dimensions and angles and other key steps to make lively sketches that capture a moment and a sense of place. 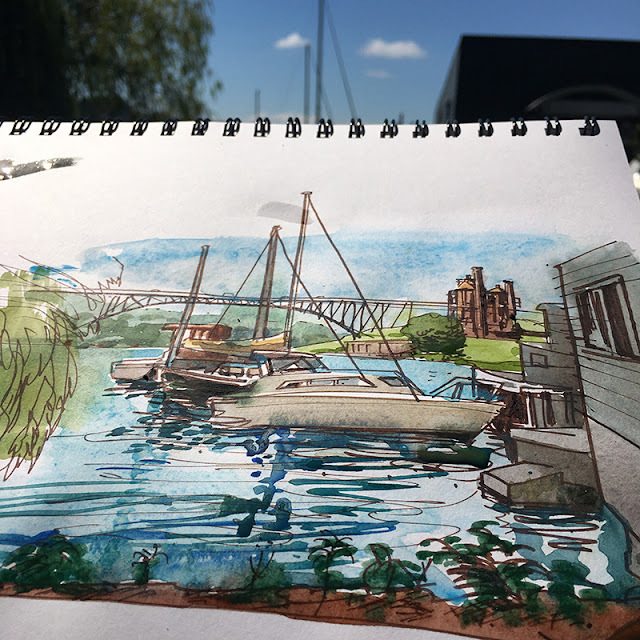 The workshop is designed for people who have some drawing experience but are not used to drawing from life -or on the fly- directly from observation. 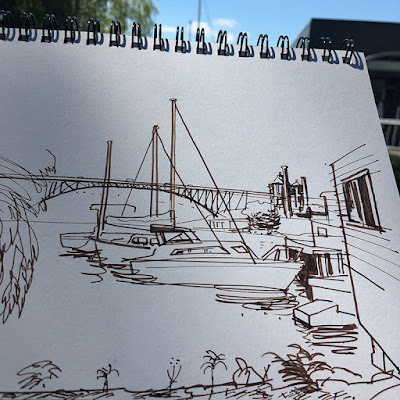 This intensive, weekend-long experience is ideal for drawing enthusiasts interested in documenting the world around them and professionals in the fields of design, illustration or architecture who want to refresh or expand their visual skills. Bothell is a former logging and farming town located 15 miles northeast of Seattle near Lake Washington and Woodinville wine country. 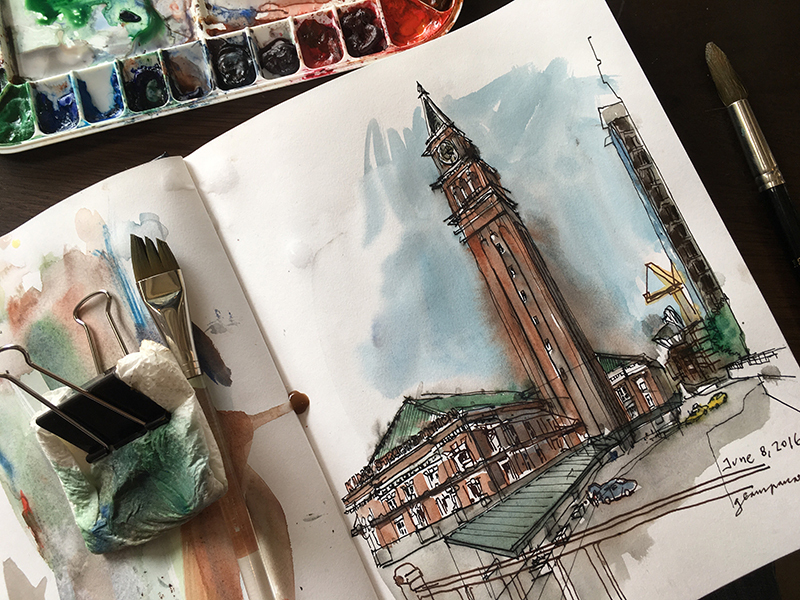 Each day begins with a one-hour demo focused on technique: pencil and ink on Saturday and watercolor on Sunday. Following these indoor demos, Campanario will aid participants through additional demos and exercises out in the field. Saturday is dedicated to linework in the morning and values in the afternoon. Sunday is dedicated to color. Linework. 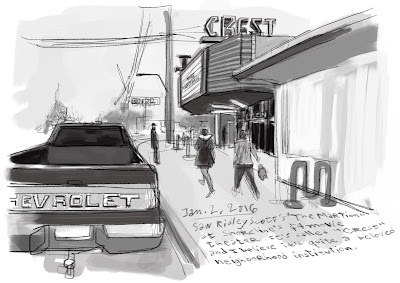 This session is all about the foundation of the sketch. Using lines only, we will cover how to establish a focal point; how to get scale and proportions right by measuring dimensions and angles and transfering them to paper; and how to layer a scene into foreground, middleground and background. Thumbnailing before sketching will help us test different compositions before wasting time in weak approaches. Values: How to see in monochrome. We will make value sketches in pencil, ink and watercolor to sharpen our perception of light and shadow in the urban landscape. Color. We will work on adding color to sketches done in previous sessions, learning the application of wet on wet or wet on dry to create soft and hard edges in the desired spots. 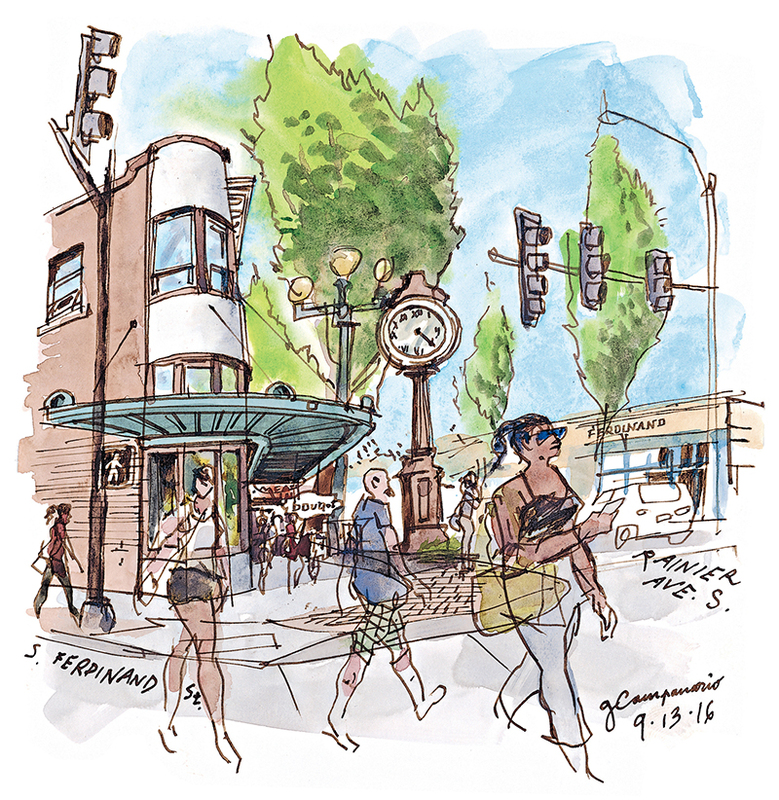 2-4 p.m. Town Sketch-Walk (open to the public) at Bothell Country Village and exhibit at Cloud9. Space is limited to 12 attendees, register early to secure your spot! No refunds for cancellations received less than two weeks before the day of the workshop. Supply list will be emailed to attendees.